A FAMILY OF AUTO AFTERMARKET BRANDS. 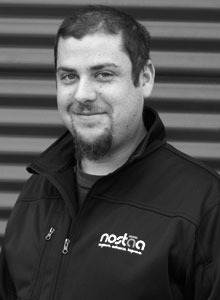 The Nostaa Group is a family of auto aftermarket brands and comprises the Cellular Specialists, Autowatch and TAG GPS names. Between these specialist brands our company offers products and services across a wide range of auto aftermarket technologies including Vehicle Security, GPS Tracking, Hands Free Kits, Safety, Accessories and more. For the many years we’ve been in business, we have been striving to provide our clients with the best quality service possible to gain their full satisfaction. And they’ve shown their appreciation by coming back to us repeatedly. Nitesh began his auto-electrical apprenticeship with the prestigious Continental Cars dealership in Newmarket Auckland, where he worked for four years. From there he moved on to Autowatch Vehicle Security where he assumed the role of Head Technician. When the opportunity to purchase the Autowatch business presented itself in October 2010, Kishor and his wife Sanju “grabbed it with both hands”. Since taking over the business, Kishor has grown its retail market while continuing to provide outstanding service to its long established corporate clients. The business has new energy and this husband and wife team have fresh ideas for growing market share through superior customer service and after-sales support. They stand by the Autowatch product with their 3 year warranty offer. 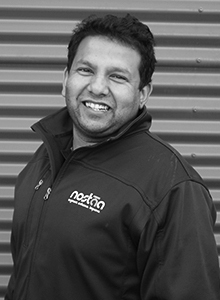 Over almost 15 years, Nitesh has grown an expert body of knowledge about aftermarket vehicle technology. Sanju brings a broad range of sales, administrative and management experience in a variety of roles to the Nostaa team. When the opportunity to purchase Calvotech presented itself there was no hesitation, Sanju was delighted. Both Sanju and her husband Nitesh thought the business had great potential. Sanju’s involvement in the smooth running of the business enables her to delicately balance her responsibilities as a busy mum and co-business owner. 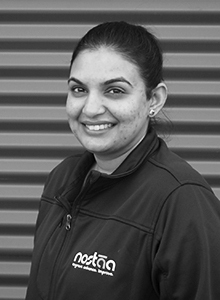 She enjoys working hard to get the paperwork done and together with Nitesh, they have the drive and enthusiasm to take the business to the next level. Anthony has had a passion for anything automotive after helping his old man work on vehicles as a young lad. He’s a down to earth character – so much so that when he joined Nostaa group and was given his own business cards he didn’t know what to do with them! ​As a Technician with a high attention to detail, Anthony takes a lot of pride in his work. He says he gets the most satisfaction out of installing aftermarket accessories so seamlessly that the customer can hardly tell if he’s been there at all.When he’s not under the hood or behind the dashboard, you’ll find Anthony playing with his two-year-old son, who will no doubt be helping his old man work on vehicles one day! View our product range or call us now on 0800 862 862 to talk to us about your vehicle security requirements.